Welcome to Bamberg, home of the WMF World Deaf Minigolf Championships 2019. After the first rally in Nin/Croatia, the deaf and hard of hearing Minigolfers meet two years later in Upper Franconia honor their best. The beautiful city on the river Regnitz offers optimal conditions. It is pure luck that Bamberg weathered all wars almost unscathed. The entire city is listed as a UNESCO World Heritage Site since 1993. It is listed in position 13 of World Heritage Sites in Germany and in position 624 of World Heritage Sites worldwide. 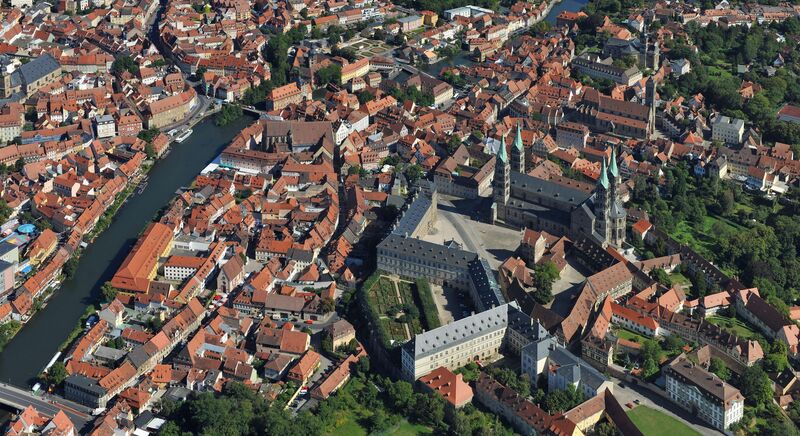 The old city center of Bamberg is representative of the typical city structure of the early middle ages in Europe. In order to protect the UNESCO World Heritage Site, an extended area around the site itself, long recognized as the "Bamberg City Monument", has been designated as a buffer zone between the modern city and the historical site. Consequently the protected area includes a total of 444 ha of which 142 ha are the original World Heritage Site. The tournament takes place on the 26th and 27th of April on the miniature golf course on Jahninsel and consists of eight rounds in six categories. The organizing committee of the sports club 1. MGC Bamberg as well as the many volunteers are looking forward to being excellent hosts and creating a welcoming atmosphere for a fantastic und unforgettable World Championship.